This 308 complete bolt carrier group is treated with Black Nitride for enhanced durability, lubricity, and ease of cleaning. Carrier is made from 8620 steel, bolt is made from 9310 steel and is MPI tested and shot peened. The Bolt and Bolt Carrier Assembly comes complete with cam pin, firing pin, and firing pin retainer. 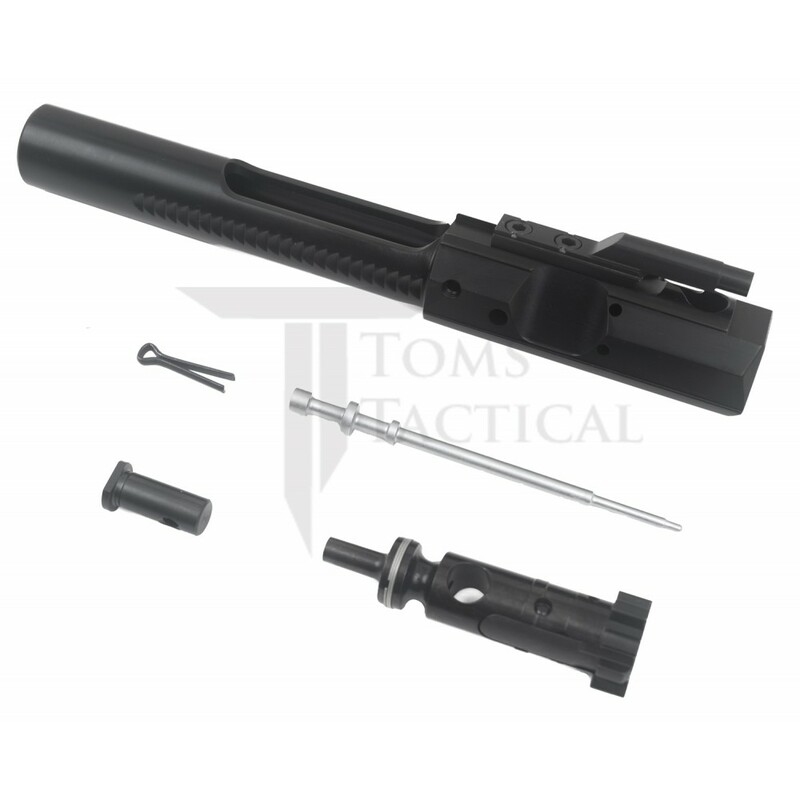 This bolt carrier group is compatible with the Aero Precision M5, PA-10, and other DPMS style AR-10 308/7.62x51 rifles. All Tom's Tactical brand products include a lifetime warranty. Does not work with 6.5 Creedmoor or DPMS G2. This BCG went in a new Aero M5 build; worked flawlessly. All ammo feed, fired, and ejected with no errors. This build is also suppressed and dirtier due to increased blow back. Adjustable gas block tuned and brass fell about 2 feet away. Smooth nitride coating was very easy to clean, wiped right off. Will be getting another for next build, and all future builds. PERFECT! Great Milling & Perfect finish! What a great price. Five stars times ten! I will be a repeat customer! I was very pleased with the quality, fit, and finish when I initially got it. After using it I found it functioned flawlessly and I am very pleased with this BCG.